So says James English, head of Melbourne-based Ace Parking. 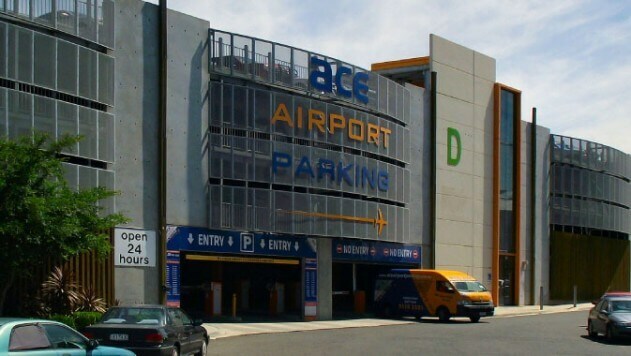 This wholly Australian owned and operated company has been supplying specialist experience as a professional and innovative car parking operator to both private and public clients since 1982, offering services that range from consultancy through to building, owning, managing, leasing, operating and securing car parks throughout Victoria to maximise the profits and streamline the efficiency of managed parking facilities. 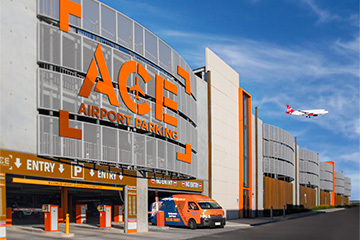 As well as broad experience in the niche parking industry, the Ace team has extensive wider experience in industries including customer relations, facilities management, finance and real estate. James brings serious thinking to a business you might believe to be as simple as it was when his father started it. But a whole variety of factors – such as planning constraints, increased traffic, technology in the form of smarter systems for measuring capacity, demand and pricing, not to mention Melbourne’s congestion levy – have conspired to make the running of a car park a much more complicated proposition today. And James is thinking about tomorrow and the further challenges that will combine to make his job even more interesting. He developed an excellent rapport with his customers, who all become regulars and this was the starting point for expansion. “He found another little car park in Richmond with 48 spaces and then another in South Yarra. He would walk every street in the area to find what he thought might be a ‘goer.’ In the space of three years he had opened five car parks,” although collecting no more than four or so dollars a day per car. James says the company has a whole slew of ideas on how to make use of sites profitably, “whether restructuring an existing car park, developing new car parks, providing equipment or finding a cost-effective, fast solution for events parking.” In fact, he can even consult with architects about designing buildings that incorporate better car parks. Having studied landscape architecture, he appreciates that parking is rarely given the priority it should get in order to make a building more efficient; for example, there is too much stress placed on maximising the number of bays, when the focus should be placed on the efficiencies of the car park. The car park can be better utilised through optimising usage and increasing turnover of each bay through simple design and management techniques, such as wayfinding, new approaches to entry and exit flows off the street, and even dynamic pricing based on proximity to services. The parking industry is largely a convenience based service, only part of the journey to a customer’s final destination, hence the importance of ensuring that the parking experience is a seamless, hassle-free one. Drivers will park where it is most convenient and easy, as well as taking account of price. Improvements in affordable technology have led to smart systems that could, for example, measure current demand (i.e. what percentage of spaces in a given area are filled) and price accordingly (i.e. as more space is taken, it gets more expensive). But city planners and councils have generally not quite caught up with such novelties, James believes, and are too reliant on more traditional and apparently simpler pricing and flow models. Also, in many cities the relationship between on-street and off-street parking should be re-examined. For example, what is the point of one-hour parking in a street full of restaurants? Unless it’s a burger bar, who dines with friends for 59 minutes? Ace Parking’s Remote Monitoring Control Room is certified for its (HSEQ) Occupational Health and Safety System – AS/NZS 4801 and works to ISO9001 Quality Management System (Lic No: OHS/R61/1010). Across Australia capital cities are adopting a congestion levy, as in Melbourne, which was introduced in 2006, since risen by 230 per cent and has had a serious impact on the whole sector, says James, although it remains “an amazingly competitive industry.” Ace will continue its innovative approach to the parking industry and create smart parking solutions to deliver, to client and customer alike, cost effective, customer focused services.